It pays to bring along the old Sony point-and-shoot when out and about. 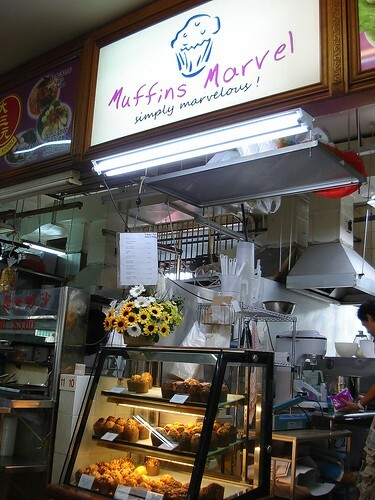 On my way from the library to Marine Parade central, I spied a new muffin stall within a coffeeshop (the one facing Marine Drive and the Polyclinic). The wares looked delicious to me. Click on photo for larger version if you can't read the text. I took home a chocolate sensation (S$1.80) and the unusual peanut butter and oreo cookies (S$1.50). Chocolate one was not bad - sweetly rich on top but light and fluffy within. Well-received in the family. In fact, hubby asked for more. There are quite a few of these around the island now - muffinpreneurs. I'm quite happy to support them, but only if they offer good stuff that is reasonably priced. These seem to be quite OK so far. I'll have to try some more to see how the rest of the flavours are. 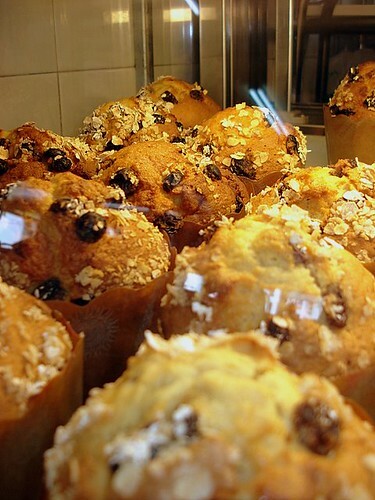 Yeah, realise lots of muffinpreneurs everywhere..
Wow! Your 1st picture have bought me over. 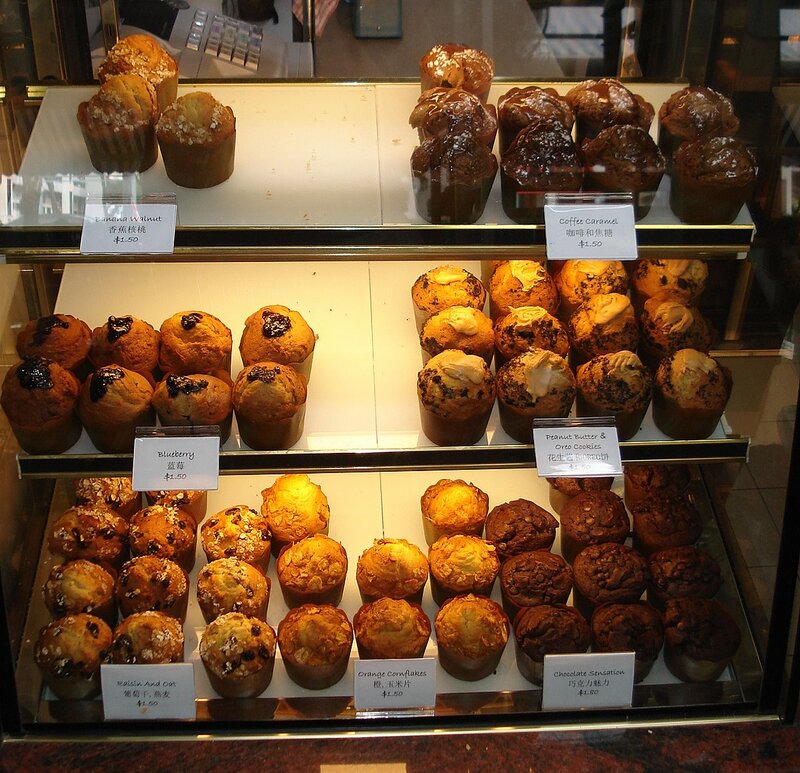 Have always loved muffins. But they must not be too oily. Oh wow... will check it out when go pp. K-man: yeah, hope they can differentiate themselves somehow. Momo: ah these are not too oily, thankfully! These looks good. I like how they have funny flavours like peanut butter and oreo.